It's time to put your nose to the grindstone and start chipping away at those great fitness resolutions. These four intense, calorie-incinerating workouts will get you started! It&apos;s a new year. After the champagne is finished and the fireworks are done, there&apos;s nothing left to do but start working on your fitness resolutions. If you want to use 2014 as the year to find fitness and finally get healthy, I&apos;d like to share with you some of my favorite fat-loss circuits. I love these circuits because they cover all the bases needed for a great fat-loss workout. First of all, they utilize resistance exercise and can help you build muscle, which is imperative for increasing your long-term resting metabolic rate. Your metabolic rate is the largest factor of expending energy on a daily basis. "I love these circuits because they cover all the bases needed for a great fat-loss workout." Daily energy expenditure, if you&apos;re unfamiliar with the term, is simply a total of how many calories you burn per day. We all know that to burn fat, we need to burn calories. These circuits cost a lot of energy to perform, so they burn a lot of calories. Best of all, these circuits will elevate your metabolism for hours after completion due to a phenomenon called excess post-exercise oxygen consumption, or EPOC. All these great factors make the following circuits a perfect kick-start to your New Year&apos;s resolution. They&apos;re intense, challenging, but also fun. Give them a try today! To do a circuit, complete an exercise for the prescribed number of repetitions and move on to the next exercise with little or no rest. Keep going until you&apos;ve completed all of the exercises. You can take a rest only after you finish all the movements. For each exercise, pick a weight that could be performed for two more reps than what is prescribed. You can use these circuits in various ways. You can either do multiple rounds of one circuit, depending on your fitness level, or you can go through multiple or all of the circuits. 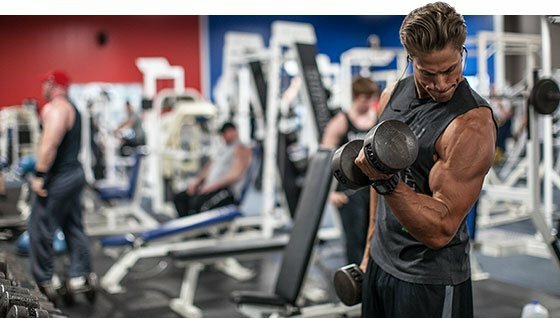 If you&apos;re a beginner and aren&apos;t too familiar with the gym, start with just half the workload. You can do half of the reps or do half of the circuit. Although the goal is to complete each circuit with as little rest time as possible, always ensure that each exercise is performed with great technique and full range of motion. If you&apos;re unsure about technique, check out the instructional videos for each movement.